“Game studios and enthusiasts may soon have a new tool at their disposal to speed up game development and experiment with different styles of play. Georgia Institute of Technology researchers have developed a new approach using an artificial intelligence to learn a complete game engine, the basic software of a game that governs everything from character movement to rendering graphics. Their current work uses Super Mario Bros. and they’ve started replicating the experiments with Mega Man and Sonic the Hedgehog as well. The same team first used AI and Mario Bros. gameplay video to create unique game level designs. The researchers found that their game engine predicted video frames significantly more similar to those in the original game when compared to the same test on a neural network. This gave them an accurate, general model of a game using only the video footage. They next tested how well the cloned engine would perform in actual gameplay. 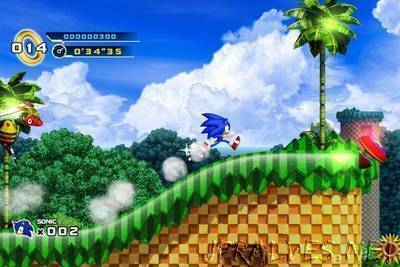 They employed a second AI to play the game level and ensure the game’s protagonist wouldn’t fall through solid floors or go undamaged if hit by an enemy. The results: the AI playing with the cloned engine proved indistinguishable compared to an AI playing the original game engine. “The technique relies on a relatively simple search algorithm that searches through possible sets of rules that can best predict a set of frame transitions,” says Mark Riedl, associate professor of Interactive Computing and co-investigator on the project. “To our knowledge this represents the first AI technique to learn a game engine and simulate a game world with gameplay footage. The current cloning technique works well with games where much of the action happens on-screen. Guzdial says Clash of Clans or other games with action taking place off-screen might prove difficult for their system.